Telescopic frame allows two door panels to go into the same wall giving the widest opening and light for the shortest wall space. 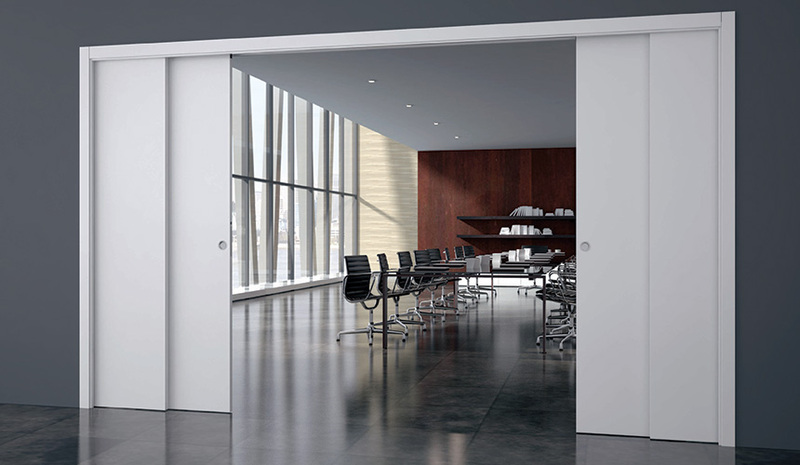 A synchronized system is also available and allows the two doors to slide into the frame smoothly and simultaneously. Maximise the opening, reduce the wall spaced need.